Nicki Minaj has signed Nigerian singer/producer Parker Ighile as her first official artist. 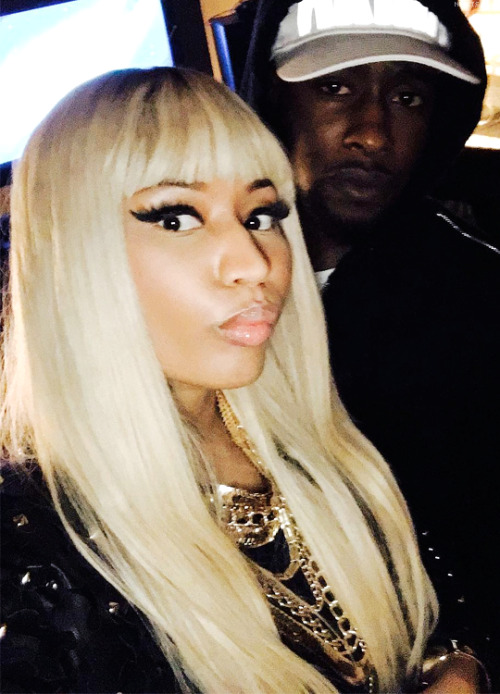 The “Super Bass” singer broke the news on her Twitter a few hours ago.The pair was first spotted together, hand-in-hand, in London a few days ago. They have since recorded a track titled “Hell Yeah” featuring and produced by Parker. It will feature on Nicki’s upcoming album due for release on Monday 19 November. Parker Ibrahim Ighile (born March 1, 1990), better known as Parker Ighile, is a British producer, rapper, singer and songwriter. He was born in London, England. He is currently signed to American musician Nicki Minaj’s record label. As a producer, artist and songwriter he has worked with Quincy Jones, G-Eazy, Nicki Minaj, Rihanna, Jessie J, Ariana Grande, Grace, Delta Goodrem, Rita Ora, N-Dubz, Chipmunk, and Livvi Franc. At the age of 18, he started his professional music career, producing Chipmunk’s song “Oopsy Daisy”, which reached number one in the UK Charts. Parker Ighile was born in London where he lived with his mother and sister Asabe Ighile. His father and mother are Nigerian, from Benin and Kaduna, respectively. He began composing and producing at the age of 11 when he and numerous church friends formed a rap group. In his teens made grime music under the name Piztol. The church his family attended was instrumental in Parker’s early musical ventures and he studied music in college and university where he began learning music theory. Parker’s music is influenced by a dynamic range of genres but more noticeably R&B, rap, garage and Bollywood music – due to frequent exposure to his grandmother’s diverse tastes in music and cinema. At 18, Ighile produced & co-wrote his first of many major releases; Chipmunk’s first & number one single,”Oopsy Daisy”.Parker produced and co-wrote seven songs in total on the I Am Chipmunk album which peaked at number two in the UK album chart and was Certified Gold. He went on to write with The Invisible Men and Jessie J and co-wrote her debut single, “Do It like a Dude” as well as “Who’s Laughing Now”. More credits include a song on N-Dubz’s Love.Live.Life album, which he cowrote with Ina Wroldsen. He used trans-genre influences to create a unique and dynamic sound and also produced Angel’s “Wonderful”, debuting at number 20 for the week ending July 21—reaching a peak on top 10 at number nine several weeks later,and Conor Maynard’s “Vegas Girl”.